Mila Sivatskaya listed ten interesting facts about herself and her life. 19-year-old Mila Sivatskaya - a novice actress. Despite the small experience in the field of cinema, the girl can already boast of a work in the acclaimed film "The Last Warrioe", where she played the title role. Also Mila's film-file is full of melodramatic series. And now our heroine has discovered sitcoms. The channel "Super" starts the comedy series "Grand" with her participation. To better know Sivatskaya not only as an actress, but also about a person, we asked her to tell ten interesting facts about herself. 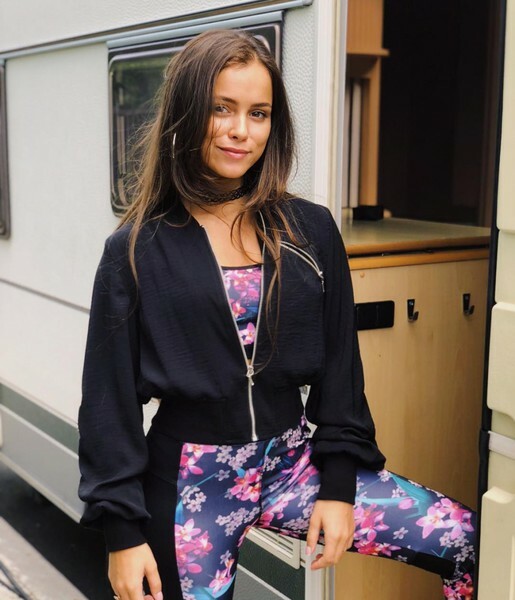 Fact # 1 Mila Sivatskaya: I got by accident in the cinema: I was 10 years old, I was engaged in ballroom dances, and the director came to us to find the girl for an episodic role. This girl was me. Fact # 2 MS: I like cosmetics very much. At one time I found abroad the incredible brands that my followers on Instagram did not know about. I've always wanted to share with them this high, so recently I launched my online cosmetics store. In the same place I share my beauty-hacks, finds, secrets. Fact # 3 MS: From early childhood I like to cook. It so happened that this is our family occupation. My signature dish is a honeycomb. Fact # 4 MS: I dream of playing a mentally ill person. Fact # 5 MS: Now I'm learning journalism, although I originally went to the theater institute, but they did not take me there. After the refusal, I was very upset, but immediately after I got the part of Vasilisa in the Disney film "The Last Bogatyr." Therefore, I decided to focus on the shooting and make every effort to develop in this profession. Fact # 6 MS: I do not have an idol or an artist, to whom I am equal. It seems to me that you need to draw inspiration from everything that you see around: whether it's early sunny spring, music or people that surround you. Fact # 7 MS: I like poetry very much. My favorite authors are Robert Rozhdestvensky and Joseph Brodsky. From prose I read psychological literature with pleasure: for example, Mikhail Labkovsky, Milu Levchuk. To giggle and be a girl, I choose Anna Gavalda. And if you want to plunge into the world of fiction, then I read all sorts of famous book series: "Harry Potter", "Hunger Games", "Divergent", etc. Fact # 8 MS: Now my heart is busy, I'm happy. My man is older than me, more experienced, nevertheless we are on the same wavelength. He is not from the world of cinema, which pleases me. Fact # 9 MS: At one time I worked as an English tutor, mostly for acquaintances. I graduated from the special school, where I studied five languages ​​- Italian, English, German, Ukrainian and Russian. Now I speak only Russian, Ukrainian and English. And sometime even started to learn Korean! Fact # 10 MS: On the set of the series "Grand" I met Philip Kirkorov. When I was a child, I danced in his show. Surprisingly, Philip Bedrosovich remembered me, called my name and was glad to see me. Pretty good!